Yosemite’s Chief Tenaya told Dr. Lafayette H. Bunnell in his book The Discovery of the Yosemite that his father’s tribe was decimated by a black death that spread through out the Ahwahneechees that they had to leave their home. The Ahwahneechees split and some went to the Monanches and some went to Mono Lake to join their cousins. It was at Mono Lake that Chief Tenaya of the Yosemite Ahwahneechees was born. No one knows what disease it was that decimated the Yosemite Ahwahneechees but there are several theories. John C. Fremont reported that when he first entered Central California in the early 1830s there were many Indian villages, but when he returned a decade later many of the same villages were now gone and many of the Central California Indian people had died off. 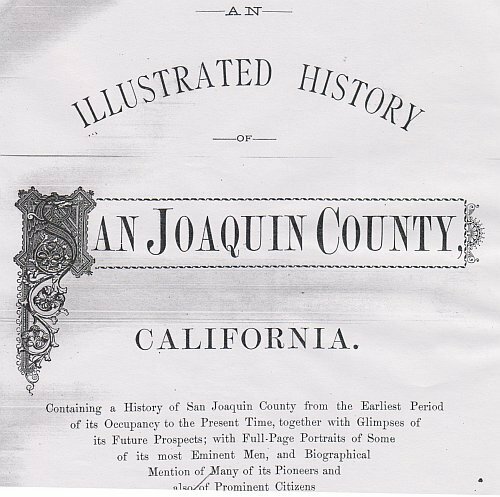 Many historians are convinced that the Indians of Central California died because of contact with Spanish or the new incoming American immigrants who were flooding the area. That was probably the major culprit of the diseases that wiped out the majority of the California Indians, but the California Indians of that day believed it was something else. The early Central Californians believed the culprit who brought death to their people were the Walla Walla Indians as they invaded the area not the Spanish or the Americans. With the introduction of horses into the far west the once remote tribal areas that were hundreds of miles away were now more accessible and being invaded by other tribes. Horses made it easy to other tribal groups to travel rapidly to different parts of the West and the Walla Walla were no exception. The Walla Walla of Washington were one of the first tribes that the expanding white Americans had contact with when the West was opened up. Lewis and Clark probably met some of the Walla Walla as they pioneered the Columbia River. One of the first forts in the state of Washington was called Fort Walla Walla. Whites had many interactions with the Walla Walla, some not so friendly and some friendly. Whites used Walla Walla as scouts in many instances as they expanded into other areas of the West and were loyal to them, like to John C. Fremont. The Walla Walla used this opportunity to also expand their territory. This appears to be the same area where the Spanish recorded they found many skeletal remains of Indians that were left in a battle field, that area was called Calaveras, meaning “skulls” in Spanish. Today that county bears that name. As the white “Americanos” expanded into California, eventually taken it over from the Spanish, the Walla Walla also followed their ally the Americans into California. Many staying and becoming California Indians, replacing the decimated indigenous population. Sutter made agreement with the Walla Walla chief to have some of his people work for him because many of Sutter’s California Indian workers had died off of diseases. So while many believe the disease that wiped out the California Indians, like the Yosemite Indians, came from the Spanish or the Americans, the Central California Indians believed that it was their enemy the Walla Walla who poisoned their water. One will never know who brought in the disease, but it was the main reason the Native population of California died off. * Chief Tenaya was born before 1830 so there must have been several times when diseases effected the native California indigenous population. But it was diseases like small-pox, the plague and others that came in from foreign sources that probably killed of the earliest Yosemite Valley Ahwahneechee Indians. * Molekos is short for Mokelumne which in Paiute translates to Granite People; mogul = granite, numa = people, for the granite mountain area they came from.